Aliso Viejo is a master planned community that became an Orange County city in 2001. Despite the city’s recent incorporation, the area has a long history that goes back to the 1890s when it became part of the 22,000-acre Moulton Ranch. Moulton Ranch was eventually broken down into several communities, including Laguna Woods, Laguna Hills, and Laguna Niguel. Aliso Viejo is ideally located amid other important southern Orange County cities, such as Laguna Beach, Laguna Hills, Laguna Niguel and Laguna Woods. While not an oceanfront community, it is only minutes away from the Pacific Ocean coast. Its location gives residents easy access to the employment and leisure opportunities found in neighboring communities, as well as the many activities on the beach. Aliso Viejo was designed as an energy efficient, transit-friendly community that features residences, offices, and shopping and dining options. It’s the headquarters of several large corporations and boasts the 900-acre town center, Pacific Park, located only minutes away from every home in the city. Aliso Viejo also features a number of top rated schools and excellently maintained parks, including 2,600 acres of land that form part of the Aliso and Wood Canyons Wilderness Park. Its rolling hillsides, nearby mountains and carefully designed streetscapes offer wonderfully refreshing views. Consistently ranked as one of the safest cities in America, Aliso Viejo has everything you could ask for in a community where you and your family can enjoy the highest quality of life. The housing stock in Aliso Viejo includes everything from luxurious estates to affordable starter homes to condos and apartments. Many of these homes are found in gated communities that offer exclusive community amenities like swimming pools, sports courts, and spas. Some of the most luxurious homes in the city are found in prestigious golf and country club communities like Glenwood, Summerland Circle, and Canyon View Estates. These homes come in a wide variety of custom architectural styles sitting inland areas of around 3,000 to over 4,000 square feet, with the top of the line finishes and amenities. The more affordable homes in Aliso Viejo boast features that make them highly desirable, including stunning views, convenient locations, and updated kitchens and interiors. Many are found in new developments that offer great options for starting families or anyone with a tighter budget. 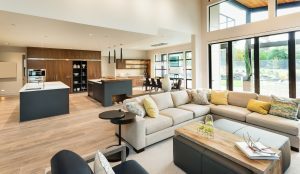 In addition to regular sized, two to three bedroom single-family homes, these lower-priced options include townhouses and condos in exclusive gated communities. Aliso Viejo is home to numerous parks, hiking trails, nature preserves and athletic fields. Walking is highly encouraged through pedestrian-friendly sidewalks and miles of nature walks. Part of the 4,500 acres Aliso and Wood Canyons Wilderness Park is found here, featuring wide open spaces, year-round streams, and wilderness filled with sycamores, mature oaks, and elderberry trees. The park is home to a wide variety of plants and animals, including rare and endangered species. A premier shopping destination in south Orange County, this city hub houses over 150 stores and restaurants catering to a wide range of shoppers and diners. It features luxury and popular brands, restaurants of various cuisines, banks and shops offering different services. City residents can play golf at the Aliso Viejo Country Club at least six times a year without being a member. The club annually hosts the Aliso Viejo Community Cup Golf Tournament, where participants can enjoy a day of golfing, lunch, banquet and various contests.